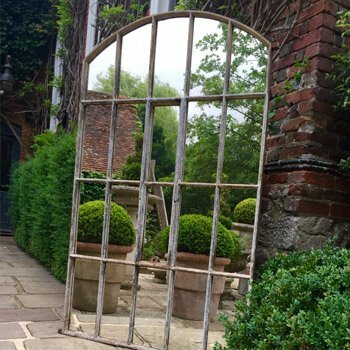 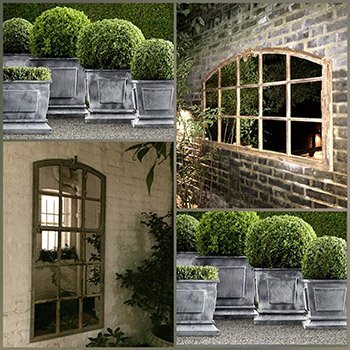 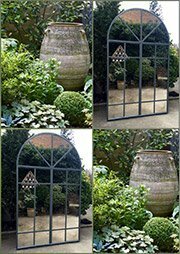 Aldgate Home source, restore and transform architectural window frames into beautiful window mirrors for display in the home and garden. 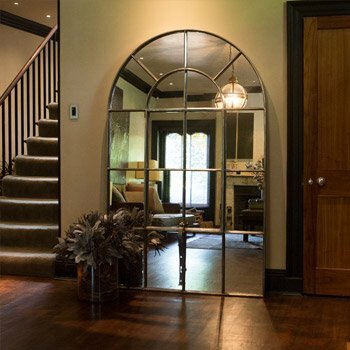 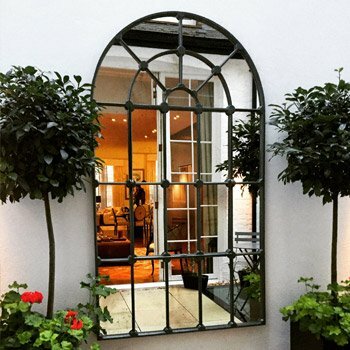 We have over the years put together the largest available collection of original unique mirrors which are now displayed in homes, gardens, hotels, bars and restaurants worldwide. 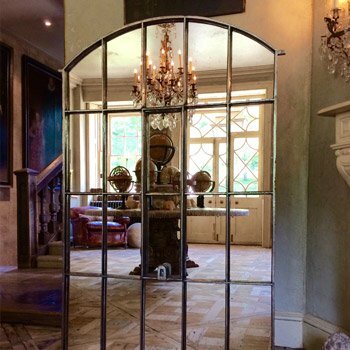 We are very particular on the pieces that we source, always looking for the original details and working features. 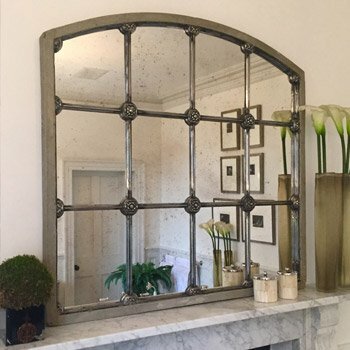 Each piece is passionately restored and completed with our own hand antiqued glass mirror which totally complements the age of our frames and brings a subtle tone to our pieces rather than the cold gleam of new glass mirror. 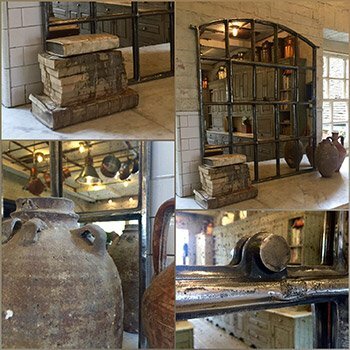 We uniquely restore our decorative mirrors to a preserved rustic finish for interior and exterior display. 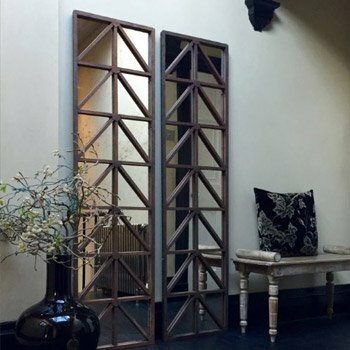 Our hand polished finish for interior use enhances the aged characteristics of the cast iron. 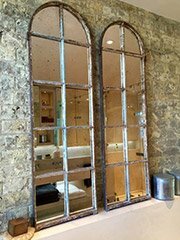 We also bespoke restore to our hand painted and aged hand painted finish , working with the beautiful tones of the Farrow and Ball paint collection on our unique mirrors. 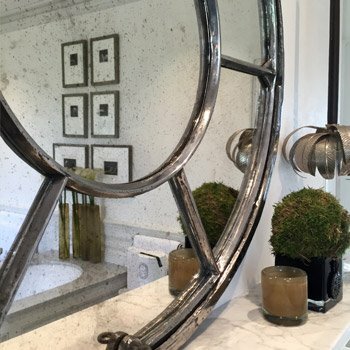 This finish and colour choice is perfect to complement our clients personal décor. 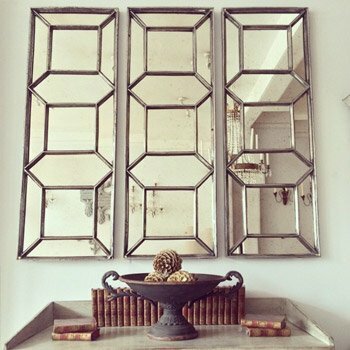 Creating personal decorative mirrors.